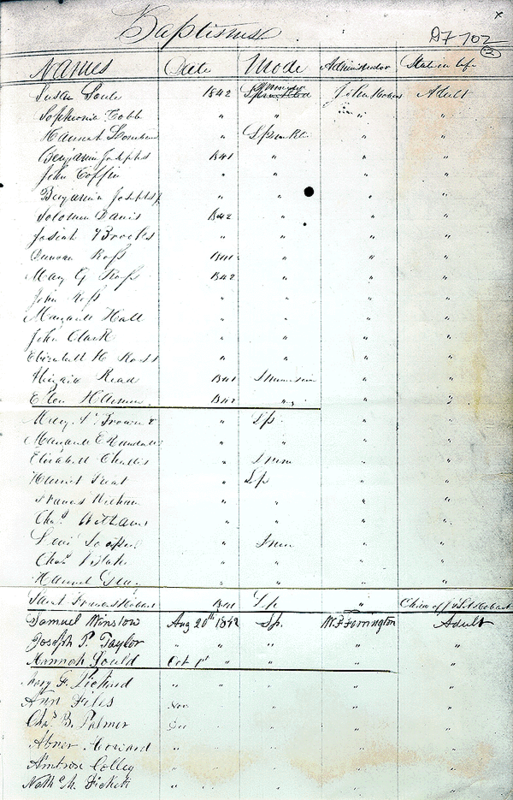 Ellen Harmon's name is half way down the page, 16th from the top. 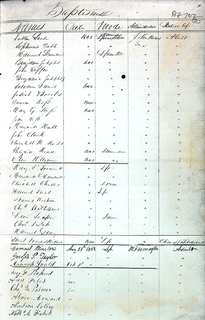 The DATE column reads 1842, MODE of baptism is listed as "Immersion" (as opposed to "Sprinkling"), ADMINISTRATOR is "John Hobart," STATE IN LIFE is "Adult." 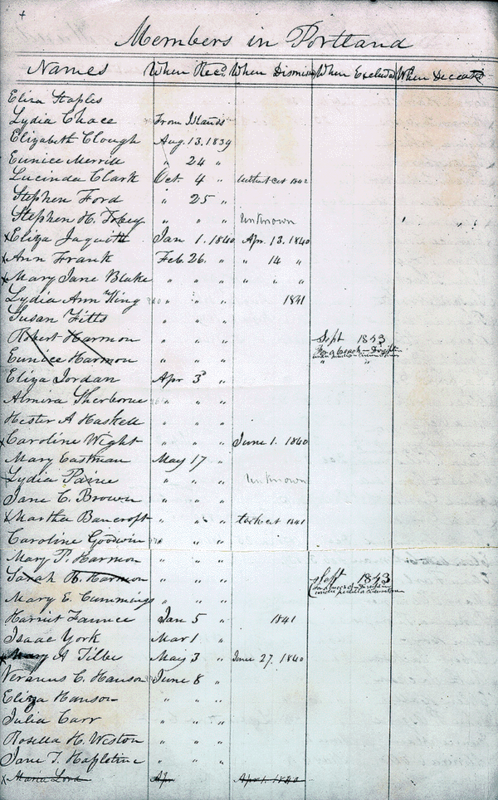 About one third of the way down the page (13th and 14th from the top) the names of Robert and Eunice Harmon (Ellen's parents) are struck through in the record book. 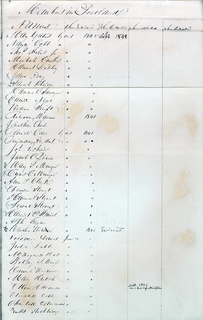 The WHEN EXCLUDED column reads, SEPT. 1843 FOR A BREACH [of] DISCIPLINE UNDER PECULIAR CIRCUMSTANCES. 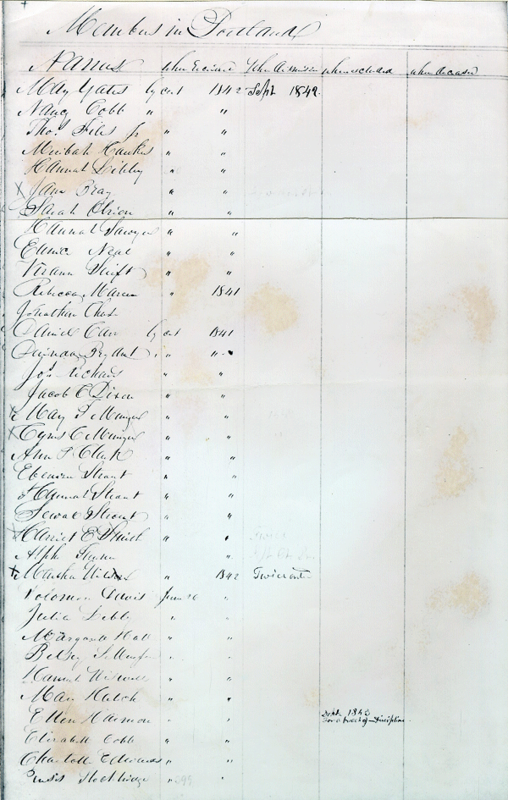 The name of Ellen's sister, Sarah, is also struck through, with the same notation, 11 names further down the page. Ellen Harmon's name is 4th from the bottom. 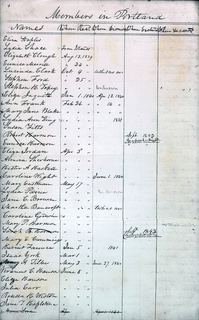 The WHEN EXCLUDED column reads SEPT. 1843 FOR A BREACH OF DISCIPLINE.